The four-day-old Silverado Fire, which has burned 1,500 acres, was apparently ignited by the sun reflecting off metal sheeting put up by someone trying to keep rodents out of a vegetable garden, a fire official said. The fire was started by pyrolytic decomposition. In this case, the metal sheeting around a vegetable garden to keep rodents out reflected the sun for so long it dried out the wooden base and caught fire. "At some point, when conditions were right, the comibnation of fuel, air, and heat -- we have ignition," said Jim Wilkens, a United States Forest Service spokesman. The fire broke out Friday about 10:30 a.m. in the 30500 block of Silverado Canyon Road. About 1,059 firefighters, with help from five helicopters making water drops, battled the fire, which blackened nearly 1,000 . Six firefighters were treated for heat-related injuries. 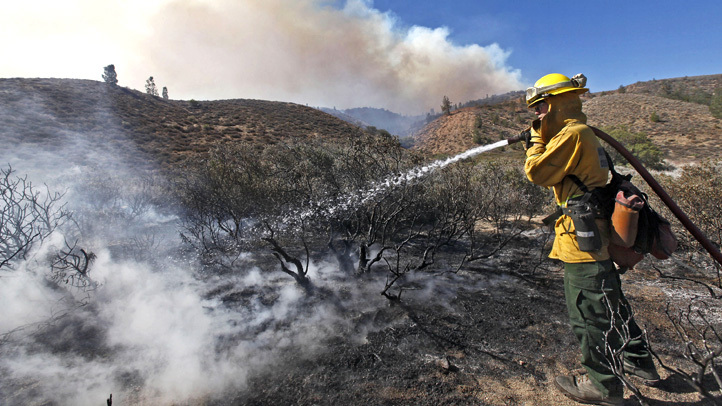 The fire blackened a remote area on the western flanks of Santiago Peak, south of Corona. The fire was not a threat to any cross-mountain routes, firefighters said. 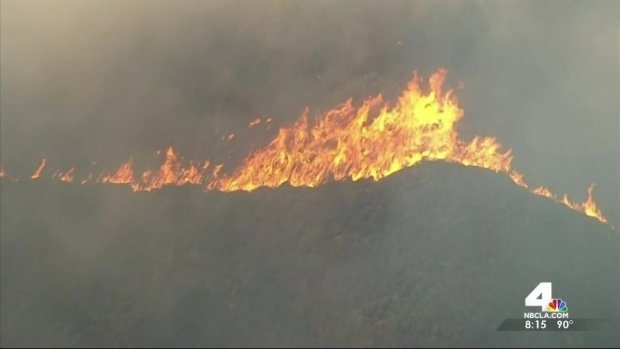 Mandatory evacuations ordered for residents east of 30311 Silverado Canyon Road were lifted Sunday evening. Jonathan Graham is grateful his house was spared. But he's left wondering if his yard has any hidden fire hazards. 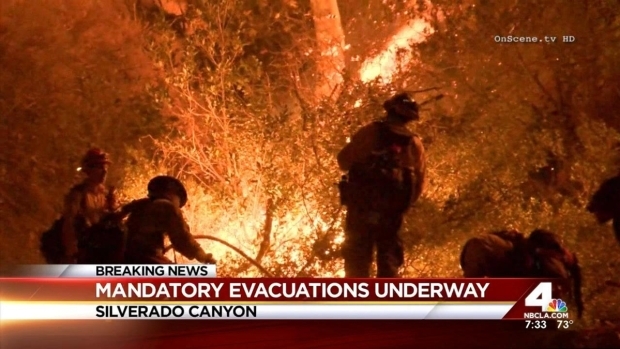 Evacuations were still in effect during the Silverado fire, which had burned and estimated 1,500 acres. 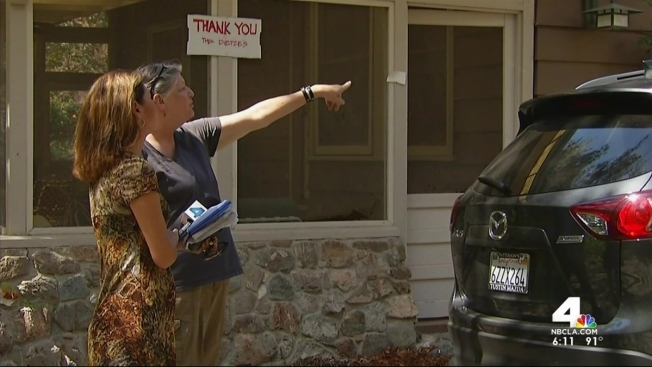 Jane Yamamoto reports for the NBC4 News at 8 on Saturday, Sept. 13, 2014. "Makes you double check about piles of trash ... anything that can produce heat," he said. Firefighters say anything that reflects light can act like a mirror, amplifying the sun's power in the wrong direction. It's why Jim Fainer said he stops whenever he sees a broken bottle. "If I'm hiking and I see broken glass, I'll pick it up and put it in my pocket," he said. "Because it can start a fire. And fires move really fast here."